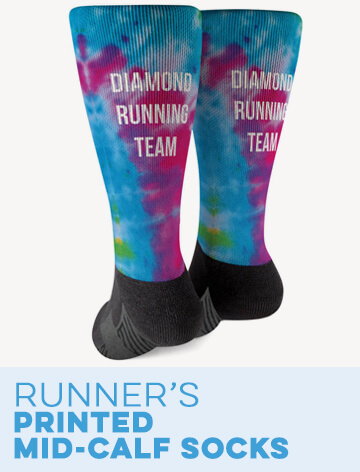 If you have a friend or family member who loves to run, you may have a hard time choosing gifts for him or her. Sometimes choosing gifts can feel like an incredibly daunting task. You want to be sure that you're choosing the perfect thing, but aren't sure what that is. 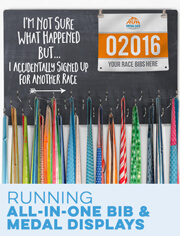 This is why we've created this gift guide to help you choose the perfect gift for any runner. 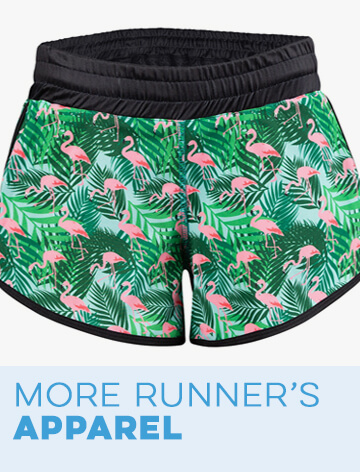 We've included the top 12 runner gifts from Gone For a Run. 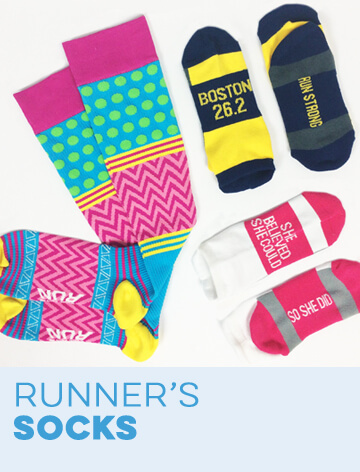 This selection includes gifts for both runner men and runner women. Browse the guide to find the ideal choice for your runner friend. Avid runners tend to have large race medal collections that can be unorganized or hidden away in a drawer. Help your loved one display his or her medals proudly with a tabletop race medal display lamp. Our second gift choice is a wide neck fleece sweatshirt for running that reads, "train race repeat #runlife". 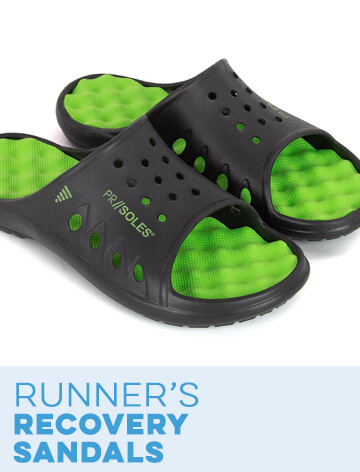 Soothe your friend's aching feet and improve recovery time with a pair of PR SOLES® recovery sandals in black and neon green. Every runner needs a little bit of inspiration every now and again. 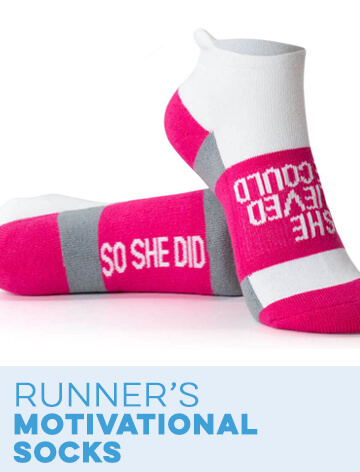 Motivate your friend with a sock set that features sayings such as, "You Are Awesome", "Be Strong" and "Never Give Up". A 20-ounce, double-insulated tumbler will keep any runner's beverage hot or cold. 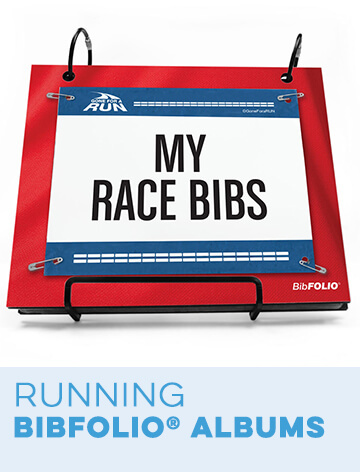 The sixth gift is a BibFOLIO® race bib album that will help your loved one organize his or her race bib collection once and for all. Our seventh gift choice has a little bit of everything. This RUNBOX™ gift set is full of all the training essentials that every runner needs and wants. Perfect for the traveling runner, the hooked on medals bib and medal display features a dry erase map of the USA that is meant to track where a runner has run. Keeping track of run progress is very important to improving as a runner. 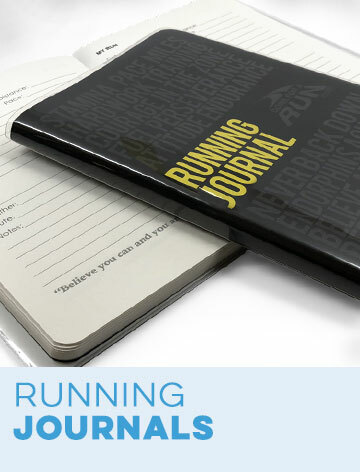 Your runner friend will love keeping track of his or her progress in an inspirational running journal. 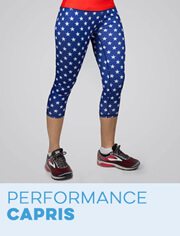 Comfortable run recovery is guaranteed in a pair of "après run" running lounge pants. 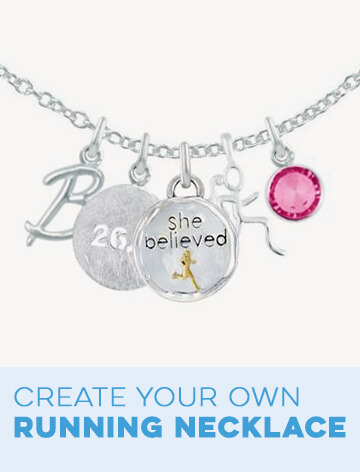 Create a deeply personal running story for your loved one with a Livia Collection design your own adjustable sterling silver bangle. Our final gift suggestion is a running throw pillow that features a list titled, "You Know You're a Runner When…".